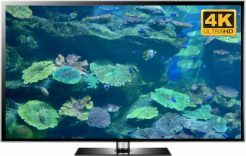 Our Ultra HD 4K aquarium video collection will almost make it look like you have a real fish tank in your room. Uscenes' downloads are all filmed and encoded in 4K Ultra HD, with our oldest 60 or so in Full HD. 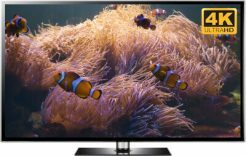 You can turn any HD TV, 4K SMART TV, or standard television into an exotic TV fish tank for a very fair price. Each product features a 20 minute aquarium video in the universal MP4 format to loop on any big screen TV. Plus the choice of a self-looping aquarium screensaver for Windows or Mac computers. All have HD screensavers and newer aquariums also have 4K screensavers - just look for the 4K logo. Easy and secure payment with Paypal or PayTabs for credit cards. Files are stored on and downloaded from Amazon. You get full long-term access to the downloads instantly. Take a look at the Mega Deal if you plan on buying multiple MP4 videos as it gets very good value very fast. A Stunning TV Fish Tank Video Will Make your Friends go "Wow"
Have you ever wanted a beautiful marine or tropical fish tank in your living room? Were you discouraged by the enormous cost and effort required to clean them? Our quality fish tank video collection is the ideal solution. For a small fee you can download various versions of each product; a Windows screensaver, Mac screensaver and a full 20 minute version. You can then transform your screens into stunning virtual aquariums, with none of the hassle or cost of the real thing. How does an aquarium screensaver work? When you buy any of our products you get instant access to your downloads. The Mac and Windows options are just like any other screensaver. With just one click they install and take over from your computer or laptop's existing screensaver. Then all you need to do is set how long you would like them to appear when not using your computer. The latest 60 or so also give you the option to change the volume, mirror the video on multiple screens and set a screenshot as an aquarium desktop wallpaper. They are around 3 minutes long and will loop continuously until you touch your mouse, trackpad or keyboard again. The MP4 video file is a 20 minute video. All 4K versions can be played on modern 4K Ultra HD SMART TVs through the internal media player. Just press play then select repeat to have a continuous virtual aquarium, even on the biggest 4K screens. Most UHD SMART TVs can play these files from a USB memory drive or SD card. The Full HD videos play on most modern TVs in the same way. It is easiest to add the file to a USB flash drive on your computer, then plug that into your TV. However not all HDTVs are SMART TVs, but there are now awesome streaming devices and boxes such as the Apple TV 4K or Google Chromecast Ultra. Our footage is always been shot in 4K Ultra HD and the oldest releases (without the yellow 4K logo) are filmed in 1080p Full HD (high definition). This means your aquarium TV will always look amazing, even on the largest UHD TV, HDTV and 4K SMART TV screens. These downloads are the perfect use of your TV and computer screens when not working or watching something. They have relaxing sounds which help to create a soothing ambience in any room. They can help you unwind after a long hard day at work and relieve stress and anxiety. They can set a pleasant atmosphere at a dinner party. Think of them as a TV aquarium or virtual fish tank. They are also a great alternative to TV shows in waiting rooms, restaurants and other establishments. We even have some of our videos playing on Finnair flights! You can trust in the quality that Uscenes offers. 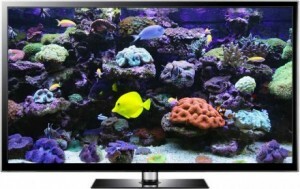 Turn your television into an aquarium TV now. When viewing our sample clips please press play then you may need to click on the cog/wheel icon and select 2160 4K for the best resolution. You can then click the bottom right button to go full screen. The downloaded versions are free from any branding.